We’ve recently talked about the release of the new Kindle Fire HD 8.9”. It’s a solid device that gives every indication of being worth an investment. While not quite as versatile as many Android tablets due to Amazon’s proprietary software configuration that prevents access to the Google Play service, there is little else to complain about and a lot to be excited for. Some reports indicate that between this and the 7” model, Amazon’s tablets will outsell the iPad Mini 2 to 1 over the upcoming holiday season. All that sounds great for Amazon and it’s definitely a sign that they will remain a major part of the Android tablet scene for some time to come. They may be in trouble as time goes on, however. The problem is not what many people have expected. The iPad is hard to compete against, but the surge in video game consoles with touchscreen accessories may hit Amazon in a major way. The Wii U just dropped, which is what brings this to mind. Nintendo’s new console comes with a controller that doubles as a tablet. It offers a supplementary second display that should come in handy in everything from game play to movie watching. Sure, it requires a Wii U console to work, but that also allows the user to tap into a wide selection of content associated with that system. Microsoft is also said to be working on a 7” tablet to supplement the Xbox 360 and the as-yet unannounced Xbox 720. Their Smartglass software already allows anybody with a portable device (smartphone or tablet), or even a convenient PC, to tap into the console experience. The Xbox Tablet, as it’s being called, will offer many of the same benefits that the Wii U controller boasts as well as serving the role of standalone portable. Now, the main use of the Kindle Fire line is in consumption. Amazon designed them for that purpose and there has been no real effort to make them into anything but a convenient gateway into Amazon’s digital content selection. This means that in many ways the same customers they are looking at attracting are also likely to be interested in gaming and entertainment consoles, for obvious reasons. If we’re looking at a class of devices that are exceedingly popular and tie into their own proprietary tablets, as in the case of these consoles, it may cut into Kindle Fire prospects. While this is all speculation, I can’t help but feel that Amazon is going to have to come up with some special service that distinguishes their hardware offering in the next year or so. The budget tablet market is still going strong, but there are a lot of big names that seem about as well equipped as Amazon who are set to enter the market. Since all the digital content sold through the company is meant to be platform-agnostic, there’s going to need to be something special done. Otherwise it’s only a matter of time before the iPad is just one of many strong competitors for the Kindle Fire HD. After all of this time and effort developing the Kindle line into such an overwhelmingly popular force in reading that the biggest publishers felt the need to break the law rather than be intimidated, I think it is fair to say that Amazon is not prepared to give up on the electronic books. Even knowing this, it is clear that they are lagging behind a bit in development while concentrating on other areas. Sooner or later they are going to have to pay a bit more attention to the Kindle eReaders and hopefully this will result in a few big changes. The platform is still amazing. Nobody can beat the Kindle Store right now. A Kindle vs Nook comparison that excludes hardware is hardly worth making, it’s so one-sided. Apps and content alone won’t be enough to carry the line forever, though, and there are a few additions that are safe to guess at so long as Amazon doesn’t try to simply eliminate the competition by selling eBooks below wholesale now that the Agency Model is on its way out. We’ve already had some rumors about this, but nothing solid has manifested so far. The Nook Simple Touch with GlowLight already accomplishes this in a way that impresses and avoids the shortcomings of backlit LCD options. 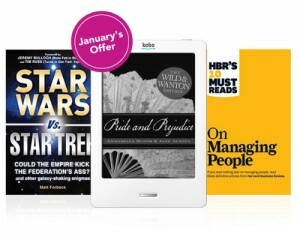 Offering a new generation of Kindle eReaders that lacked the feature would be a mistake. Yes, the Kindle Collections system is better than nothing. It came as a welcome change to years of nothing at all to organize with. It even makes sense to handle things with tags, given the cloud-centric nature of Amazon’s services. Being able to better organize books is going to have to happen eventually, though, and it would be a big selling point for new customers if it came soon. You won’t find many people who are completely satisfied with the lack of physical page turn buttons on the Kindle Touch. It is a fine eReader, but this was a glaring omission that is genuinely hard to ever completely get used to. It can’t possibly increase costs enough to justify leaving it out and hopefully Amazon will realize that now. This one is a long shot, but being the first to offer an affordable, reliable, attractive color eReader would definitely be a coup for the Kindle line. 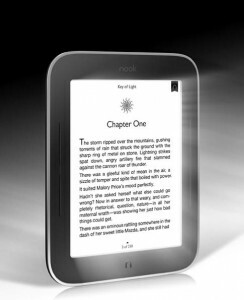 With the lighting options that have been described by Kindle rumors and put in place on the Nook Simple Touch with GlowLight, it would be more possible than ever to make the otherwise dull color E Ink currently available look quite nice. The only question is whether Amazon is able to do that and still sell cheap eReaders. Let’s face it, the big thing everybody keeps pulling out for eReaders is the social media integration. Kindle, Kobo, Nook, whatever, they all want to let you post from inside the eReader. Take it a step further and let the next Kindle act as a portal for select communications (Facebook, Twitter, email, and maybe a few others) and you expand the attraction of the device at minimal cost. This reduces the emphasis on the single use nature of the Kindle, but it makes it that much more attractive to a segment of the user base that prefers to stay constantly connected at the same time. It’s a smart trade-off. While it has been known for a while now that Amazon’s first effort at tablet design, the Kindle Fire, was probably the most popular non-Apple tablet on the market, we have only just learned to what extent that is true. Recent information coming out of comScore indicates that the Kindle Fire has managed to acquire 54% of the Android tablet market in the months it has been available. Nobody else even comes close. The last time we talked about this topic, the Kindle Fire had just started pulling ahead of the Samsung Galaxy Tab as the most popular of the iPad alternatives. Things are now apparently a bit less close. comScore reports that the Kindle Fire now has just under four times the market share enjoyed by the Galaxy Tab. This report looks exclusively at the period from December 2011 through February 2012. In that time the Kindle’s popularity nearly doubled while not a single other Android tablet gained at all. The Galaxy Tab family lost nearly ten percent, falling from 23.8% to 15.4% of the market. Amazon clearly struck the right note with their surprisingly low pricing of the Kindle Fire. At $199, it immediately enjoyed an advantage over the competition. While there are other options now at the same price, nobody has managed to leverage that advantage quite as well as Amazon did. Some of that is likely due to exposure and brand recognition. The Kindle Fire was the first truly useful $199 tablet and by far the most heavily advertised. Mostly we can blame the competition’s failures on the inability to compete with Amazon’s media integration. Google has been doing great things with Google Play recently, including huge efforts to clean up the App selection and greater emphasis on video and music selections, but it is far from the experience the Fire offers even on a completely unaltered installation of Android. The big question now is whether anybody else can hope to compete. The tablet market is increasingly centered around the iPad and the Kindle Fire. Admittedly this is already a change since six months ago it was entirely centered around the iPad. That said, the low price that Android tablet customers are coming to expect means that the potential for profit among hardware manufacturers without their own content hubs is shrinking at an alarming rate. Samsung’s new Galaxy Tab 2 is impressive, but it seems unlikely that the desire for a more versatile tablet will overcome the Amazon advantages across a large audience. The Kindle Fire is clearly doing something right to have pulled this far ahead. While Amazon is rumored to be either subsidizing the price slightly or at most selling the hardware at cost, they are not the only option available. Even among the Kindle’s traditional competition, nobody seems to realistically consider the Kobo Vox or Nook Tablet to be equally attractive products at this point. There is more to that than just Amazon’s ability to throw money at problems until they come out on top. 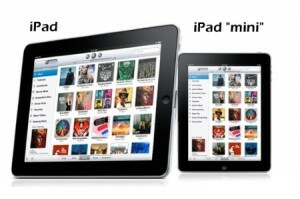 Will the iPad Mini Kill the Kindle Fire? Also, Will iPad Mini Rumors Ever End? It seems the rumor mills just won’t give up on the idea of a 7-8” iPad. We’ve been hearing rumors about the development of such a device for well over a year now that have yet to manifest. At this point having one announced would almost make me wonder whether it wasn’t a response to the popularity of the rumors rather than the rumors being a reflection of actual development. Either way, iPad fans are convinced that if and when such a tablet is released it will spell the end of the Kindle Fire. Of course it is also being touted as Apple’s answer to the anticipated Windows 8 Tablet boom later this year. There is a very real impression that some people think all Apple needs to do is get this one last product to market to prevent anybody else from having the opportunity to break in. Unfortunately, the rumors don’t really explain why they would want to. Depending on the source, we are talking about a 7”, 7.85”, or 8.1” iPad running at 1024 x 768. Essentially a scaled down version of the first two generations of the line. There is no explanation of how this will reduce prices enough to really make such an offering attractive. An iPad Mini would have to be scaled down in other ways as well. This would probably need to be more than just reduced battery life. We’re talking about a comparatively underpowered processor, reduced storage space, etc. I won’t make the claim that this product will never appear. It feels that way a bit now though. Even if we assume, as many of these rumors do, that Apple made no effort to directly match price with the Kindle Fire and sold this smaller iPad for $299, it would mean the lowest profit margin they have taken to date. Every iPad being sold right now makes the company at least $200 profit, according to analysts. Apple is not a company who sells their hardware at a loss, as a rule. Even if we do take the leap of faith and assume this happens, will it change things? The Kindle Fire is marketed to a completely different audience than the iPad. This might not, and probably will not, always be the case. For now we have to assume that Amazon is dedicated to developing the product as a means of ever-improving media consumption, though, and as such there is little need for the kind of versatility that the iPad manages. Amazon would lose those customers who just want an iPad anyway but who are unwilling to spend enough money to pay for the larger, more expensive models. They are still going to be in a position to undercut Apple on the hardware prices due to the lack of reliance on device sale profit margins. This means that the customers who just want a smaller, cheaper tablet with access to a lot of features will still have a good chance of buying a Kindle Fire, or whatever the current model is called by the end of the year. An iPad Mini would upset the balance and be a big blow to the general Android Tablet market, but chances are good that the Kindle Fire could weather it. Somehow I still doubt we will have a chance to find out for sure. Say what you will about Windows 8 and the Metro style it introduces as a general computing option, it is amazing on a touch screen. I’ve had a chance to play around with it more than a bit since the Consumer Preview build was released to the public a few weeks ago and after a short adjustment period I have had nearly no complaints. There are obvious potential complications for the Kindle world, though since we can’t guess yet how inexpensive it will be possible for a full Windows 8 tablet to be, at best it is possible to make educated guesses about how portable device development changes in months to come. What might surprise many people, though, is that just as Android has been used effectively to power E Ink reading devices like the Barnes & Noble Nook, Windows 8 has been mentioned as a possible operating system for future Kindle competitors. The goal has always been to create a consistent experience between every device that runs a version of the operating system. If you’re using Windows then it doesn’t matter if you’re on a tablet, a desktop, or a smartphone, because they will all function effectively the same way. Traditionally Windows has been seen as far too slow and overly large to be considered a cost effective way to handle a dedicated eReader, but this may be changing. 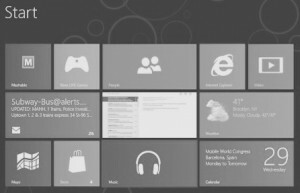 Since Windows 8 emphasizes speed, efficiency, and power consumption, it may well work perfectly to bring that distinct touch-centric Metro style to the reading world. This wouldn’t be bad news for the Kindle platform, of course. While Microsoft Is developing their own in-house app store to compete with that of Apple, there is already a Kindle for PC app to play with. It seems fairly safe to assume that since Microsoft will not be allowing highly customized or restricted copies of their software to be shipped (unlike with Google’s Android), the Kindle app will remain open to anybody using these new tablets and eReaders. While we’re still a long way from anything certain, especially since the launch of Microsoft’s new operating system is expected no earlier than October, we do know that representatives of the company have hinted at an interest in joining the eReader market. They don’t build the hardware, so it might be quite a while before anything affordable comes along to demonstrate the potential of the Windows 8 option, but if a barebones copy of the software can be had cheaply enough to match existing prices then it might really shake things up. Right now the Kindle is dominating the reading world. 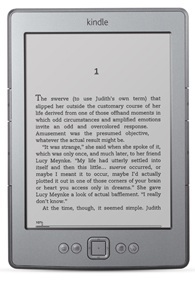 None of the Kindle eReaders make use of Android, but the Kindle Fire and any number of competing eReaders do. Microsoft would have to set prices so low as to shock many people if they really wanted to hope to compete with established products, but that doesn’t mean they won’t do so. They are butting up head to head with Apple and are clearly trying to establish a competing ecosystem. I don’t see them teaming up with Amazon to offer a dedicated Kindle Store option as an official counter to iBooks, but it’s inevitable that something is brought up to match practically every facet of iOS. The Kindle might well be caught in the crossfire. The Nook Color might have been the first tablet to come from a major eReader maker, but the Kindle Fire has clearly set the tone for devices in its size / power range. Amazon’s new media tablet hasn’t even shipped yet and people are scrambling to match prices or rush out competing product. For the most part, there isn’t really any obvious reason for Amazon to be concerned, but the new Kobo Vox is an imitator with impressive potential. Kobo’s new Kindle Fire competitor, marketed as a color eReader much like the Nook Color, will be a 7″ Android 2.3 device with comparable specs, expandable memory, and a small selection of colored quilted backs to choose from. The single core processor might end up being a slight negative, but this was never intended to be a powerhouse anyway. Oddly enough, both the major strengths and the major shortcomings come in on the software end. When Barnes & Noble started out with the Nook Color, they tried to keep it almost entirely about the reading. It was only relatively recently that their app selection started to improve. Amazon avoided that mistake by building up a huge App Store for the Kindle Fire before it even existed. Kobo seems to feel like it isn’t worth the trouble. Rather than a heavily customized, or even locked version of Android, they have decided that Vox users can just grab what they want through the default Android Marketplace. 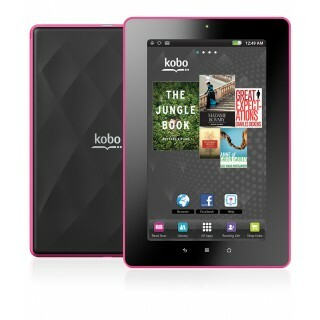 The OS seems to be pretty much just basic Android 2.3 with some Kobo Apps. On the one hand, this is genius. It gives them the ability to offer customers access to the largest selection of Android apps in existence without having to jump through hoops. At the same time, however, it means that Kobo themselves will not be making any money off of anything but the books. Whether or not this proves to be a smart business move remains to be seen, but it will definitely appeal to a certain segment of the customer base. What really makes the Vox a major player among eReading companies jumping into tablet production is Kobo’s international presence. More than pretty much anybody else so far, Amazon included, Kobo has managed to make sure a wide selection of books is there in any market they can get their hooks into. 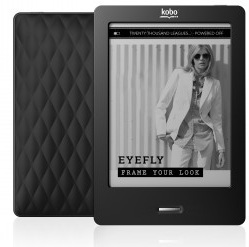 The Kobo eReader is widely available and has been for some time. It would not surprise me even a little bit to discover that when Amazon manages to get the Kindle Fire out to markets outside the US, especially those new sites like Amazon.es, the Kobo Vox is already a common sight. It isn’t the best option in terms of hardware or software in the US right now, even for the $200 price, but for users who want just a cheap, effective 7″ Android device it might fit the bill. In areas where the tablet market has yet to really take off, though, I expect to see the Vox make a huge impression. Let’s just hope Apple can hold off on the anti-competition lawsuits?